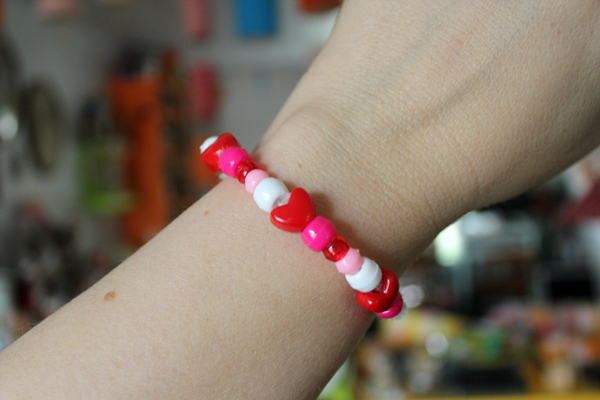 This easy peasy bracelet activity works your child's fine motor skills and amps up their math readiness when you add in sorting, patterns, and sequencing. All that is needed is pipe cleaners and pony beads. 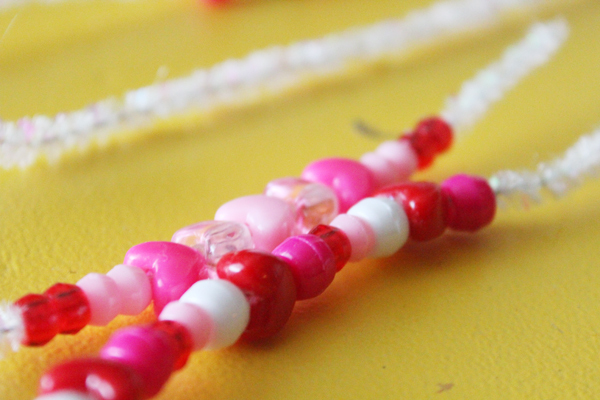 Pony beads can be found at your local craft store. If you shop near Valentine's Day you can find presorted packs in traditional Valentine's Day colors. 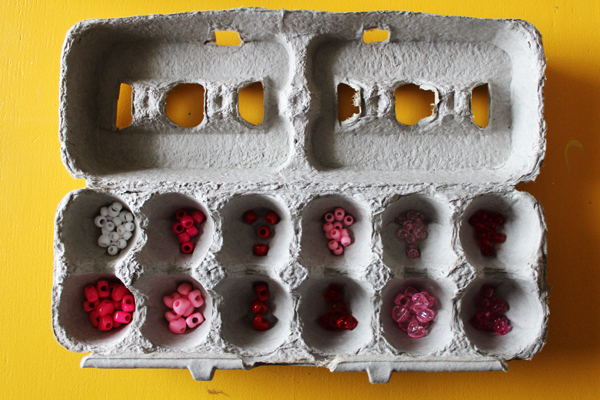 Dump your beads onto a tray and hand your child an egg carton or muffin tin and see if they can sort their beads by color. Color sorting is a nifty tool to practice color recognition, size differences. By practicing sorting, children are developing new mathematical skills and is a precursor to abstract thought which indicates reading readiness. 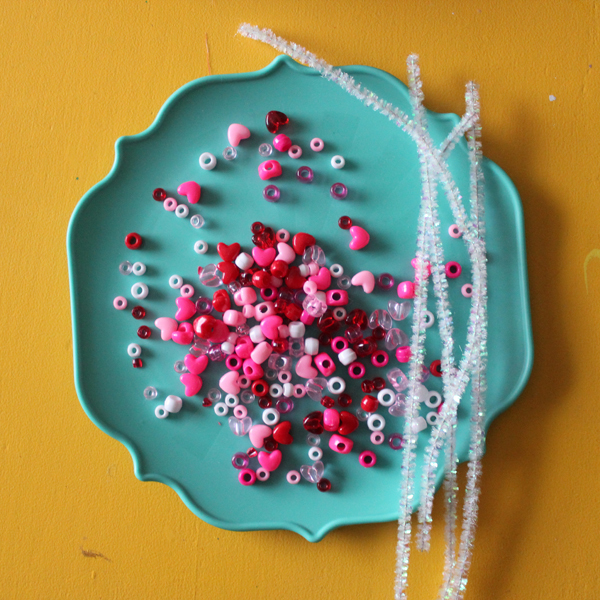 Once their beads are sorted, you can hand your child a pipe cleaner and let them add beads at will or you can sit back and discuss patterns with your child and have them arrange 8-10 beads in a pattern on the work surface in front of them before beading. Creating simple patterns that follow the ABAB rule set your child up for organizational thinking, also an important math skill. 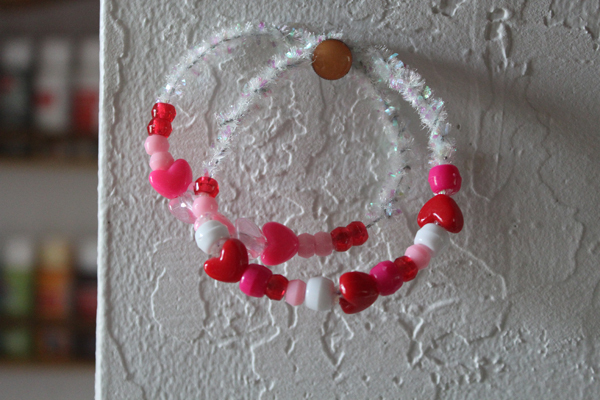 Once your child adds their beads, loop into a circle and twist ends until they do not show and place on wrist. 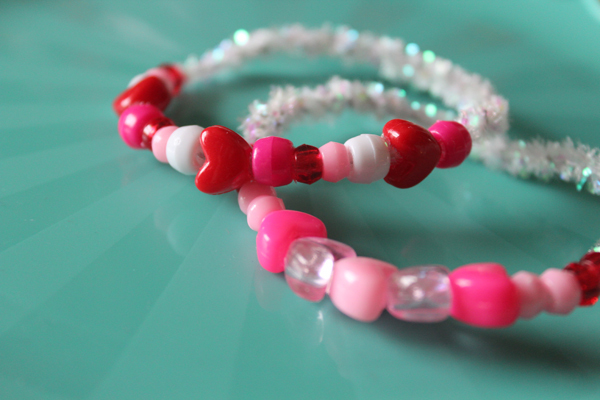 These easy bracelets make for super cute Valentine's. Add a tag and give away, super easy! I think this is a great idea. I can't wait to try it with my daughter. Thanks! 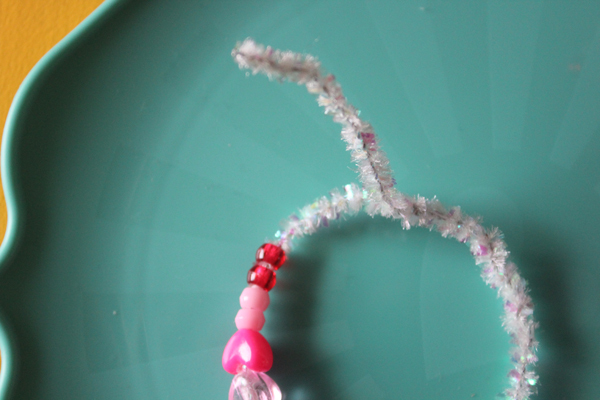 We love pipe cleaner projects! What size are the pony beads? I do not know the dimensions but they are the average sized bead...maybe about the size of a pencil eraser, the kind that is attached to a pencil.